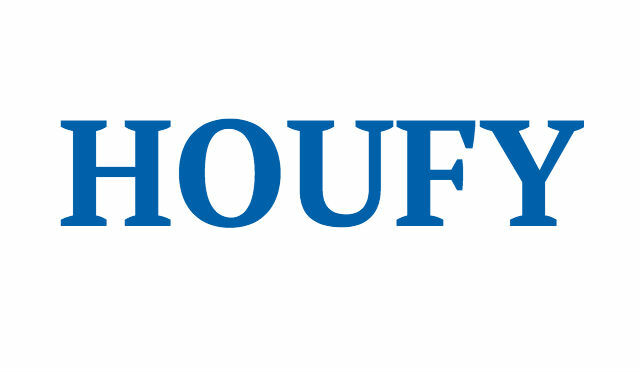 To follow Jose Nunes, please log in to Houfy or create an account. Welcome to our spacious and gracious 7 bedroom Orlando vacation home, located in the perfect spot on the exclusive Terra Verde Resort. Less than 5 miles from Disney in Kissimmee, Florida, and with 7 bedrooms and 4.5 bathrooms, this fully air-conditioned, elegant and spacious home away from home is perfect for large family groups, sleeping up to 16 guests. We have a spacious family room to relax in during the day or evening, with sumptuous sofas, soft furnishings and lamps, a 55-inch LED flat panel TV and DVD/VHS player - so you can watch your favorite movies while on vacation (there are plenty of video stores nearby). If you want peace and quiet away from the family, choose to sit in the separate lounge, with overstuffed sofa and love-seat, occasional and coffee tables with lamps. If you need to surf the web during your stay, we have provided high speed wireless internet access in the home. If you want to spend your days soaking in that Florida sunshine?...then you've picked the perfect spot! When you want to relax, soak away tension in the crystal-clear waters of the private pool, or simply lay back on one of the comfy loungers or reclining chairs. The pool is provided with a removable safety fence for extra added protection for young infants should you need it, and all doors leading on to the deck area have been provided with additional switchable alarms. Sleeping accommodation are as exclusive and luxurious as you could want, with two separate master bedroom suites that each provides spacious comfort – one upstairs, and the other off the pool deck downstairs. Each master has a king-size bed, flat panel TV with integrated DVD players, dresser and nightstands with lamp and clock/alarms and closet space. Each of these master bedrooms also provides a master en-suite bathroom, with either single or double vanity basins, walk-in or bath/showers, and toilet. Two further bedrooms each offer sumptuous sleeping with a queen-size bed, one queen room includes a flat panel TV with integrated DVD players, both rooms include nightstand and lamp, a dresser/mirror and closet space, plus an adjacent bathroom with vanity basins and mirrors, toilet and bath/shower. One of the bedrooms has two full size beds great for adults and teens. Room includes night stands with lamps, closet space, plus adjacent bathrooms. Each of the remaining 3 bedrooms offers two twin beds, night stands with lamps, closet space, plus adjacent bathrooms. The kitchen has been equipped with almost everything that you could possibly need to prepare a family feast or a super-snack for the kids. Choose to eat at the formal dining area or at the breakfast bar that overlooks the pool. Surrounded by Florida's natural beauty, with sub-tropical woodlands, palms and vistas, Terra Verde is ideally located close to Disney - with easy access to the theme parks and attractions from your own Orlando vacation home in the Florida sunshine. Visit the spacious club house and choose to relax in the sunshine around the sparkling clear resort pool with gazebos and shaded cabanas, luscious landscaping, and comfortable deck loungers. Or sit in the bubbling community hot-tub and chat with other guests as you soothe away your tensions. Kids will love the tot's pool - or let them play in the tot-lot next door, as they swing on the rope swings, lie in the hammocks, climb the climbing rock. Inside the Terra Verde resort club house, you'll find a sauna, spa, sundry shop, arcade video games, fitness center and cyber café. This Terra Verde vacation home also offers a fully equipped laundry room with washer, dryer and ironing facilities. Please note that trucks, commercial vehicles, campers, mobile homes, recreational vehicles, motor homes, house trailers, trailers of every other description, boats, jet skis (or other similar watercraft) boat and other watercraft trailers, horse trailers or vans are not permitted to be parked or to be stored at any place on the property, or in the Terra Verde resort.